Narborough Fisheries can be found in Narborough, situated in a picturesque private 26 acre site in West Norfolk. The fishery offers both coarse and trout fishing options. At the fishery you there is also camping and caravan space, so you could stay here for a few days. 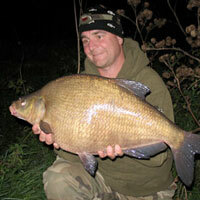 Millers – a specimen carp lake with plenty of carp that run into the low 30s. There are 9 pegs in total, so there should be plenty of room. Night fishing is available with a range of 24h tickets – including an option to book the full lake. 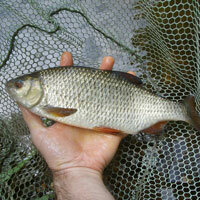 Foresters – a coarse lake which is stocked with a wide range of different species. You should have an enjoyable session on here. Ashford – a coarse lake with 24 pegs. This is a good lake for matches, with plenty of F1s and a number of carp that run into double figures. Willow – the main trout lake on the complex. There are tickets available which allow you to take fish home and cook up a storm. Meadow – a catch and release trout lake. There are some biggys in here, but they must all go back in the water. The facilities at the fishery include toilets, showers and a tackle shop that sells a selection of snacks and drinks. Address: Main Road, Narborough, Norfolk, PE32 1TE.